A wedding photographers not only captures photos, but also the beautiful memories full of joy, emotions, and drama which you will cherish for the lifetime. Wedding photos are timeless moments captured in frames so it’s very important for you to hire the right professional to capture those special moments. Choosing a good wedding photographer is very complicated as compared to picking up your bridal trousseau or booking any other wedding service as you cannot visualise until you have made your decision. The relationship between you and your photographer will be largely dependent on faith. Great wedding photographers end up being a little expensive but you have to remember that there are no second chances! This is definitely one area worth splurging on! A wedding happens only once in the lifetime, wisdom should restrain both sides to plan the ceremony. It is not only for purposes of order but it effectively manages the budget as well. 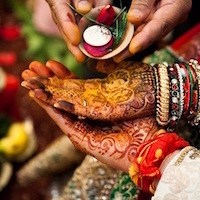 A lot of planning is necessary to ensure that each aspect of the marriage ceremony is not too lavish or tightly budgeted so that it would not ruin this important affair. Simple yet elegant and within the couple’s budget will make this wonderful event even more memorable. What is of primary concern here is that the wedding couple’s wishes have to be met. Their happiness on this day is the main objective of the event. 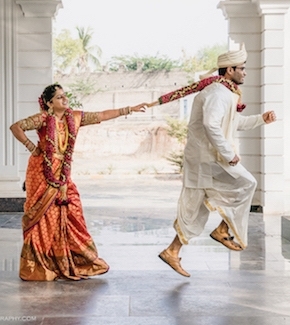 You need to be absolutely clear of the wedding photography you are looking for. Gather as many references as possible. Discuss on whether you want to print all photos or you want one main album and a coffee table book or if you want to print only a few pictures and keep the rest in a soft copy. Like for example if you want to go with old school wedding photography, you may need a basic photographer but the final outcome has to be elegant even if the style is traditional. If you are looking for some not so conventional wedding pictures, you can opt for a wedding photographer who does more stylized shoots or candid shots. Check on the availability and also look at wedding albums shot by them. Also ask to look at weddings from different cultures and the entire set of pictures, as it will help you understand their quality and style better. Discuss rates and complete details like shooting and reporting timings, availability of assistance, the degree of coverage, production cost and any other queries you may have. Also, understand terms and conditions of payment policies. 1. Work Experience of the photographer– A wedding is a one-time affair. 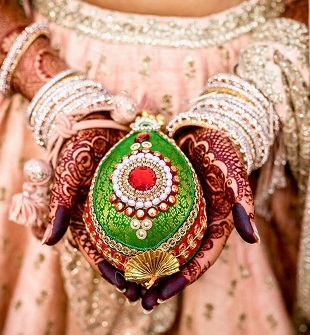 Every memory associated with the wedding is very special for the couple and has to be captured by a professional. They should know what they are doing. 2. Previous works: Past work is one of the most important things to consider while choosing a photographer. You need to get a feel of their sense of art and then decide what is right for you. Does their style suit you or not, etc. 3. A personal connection with the photographer- Having a personal connection with the photographer is very important. As both have to be on the same page about what you want and how you want it to be done. He should be willing to travel the extra mile to make you feel comfortable about the whole process. It is of no use contracting a person, who would not even understand what you require out of him. 4. Budgetary constraints for choosing the wedding photographers– Budget is a constraint for most of us. So select a photographer within the budget and make sure you get the most out of him in the price that you pay !! Best Wishes from Team Wedamor!